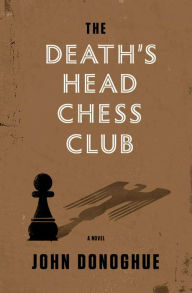 The Death’s Head Chess Club is a historical fiction novel by John Donoghue . The novel’s focus is on the unlikely bond between a Nazi officer and a Jewish chess player. During WWII SS Obersturmfuhrer Paul Meissner had fought on the Russian front. During one battle he is severally wounded and loses his foot. He recovers from his injuries and is put on administrative duty. His assignment improve personnel morale at Auschwitz. Meissner’s first idea is to start a choir but then he decides a chess club is a better idea. To make it more enticing he allows all personnel to bet on games and overnight they take off. Then Meissner learns chess games have also begun among the prisoners. Their star player is a Frenchman and former watchmaker named Emil Clement, who is unbeatable. Soon Meissner wants to pit Clement against Nazi officers. His superiors immediately take to the idea. They are certain their officers will crush the prisoner at chess sending a strong signal to all Jews that Nazis are the superior race. However, what happens instead is Clement beats each officer he plays against. Meissner quickly becomes hooked on Clement’s talent, and strives not only to make sure he is kept alive but also that the prisoner can keep playing chess. Fast forward eighteen years later and Emil Clement is in an unnamed Dutch city for an international chess tournament. The first player he is pitted against is a German named Wilhelm Schweninger, a former Nazi propagandist. The hate between them is palatable. Yet despite Clements thoughts of his Holocaust past filling his mind as he plays, he resoundingly defeats Schweninger. Hours later he takes a walk around the Dutch city and finds a local chess group. Clement joins it and plays when he doesn’t have to face another opponent in the tournament. One day one of the Dutchman, Clement played chess with introduces him to a Catholic bishop who turns out to be Paul Meissner. Naturally Clement wants nothing to do with him. However, Meissner insists Clement doesn’t turn him away. He wants the chance to not only help himself before he dies of lymphoma but also Clement to be able to forgive again. 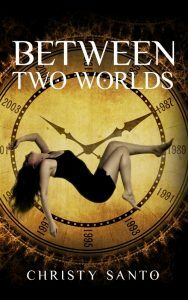 It was surprising to me that a concept I wouldn’t think could work, a developing bond between a former Nazi and Holocaust survivor, could be believable much less work, yet it did. Donoghue didn’t turn away from sharing the horrors of what the Nazis did and he has his characters wrestle with sharing their lives with each other. He also digs into the risks both men took during the war. For Clement playing chess against the Nazi officers gave him and his fellow prisoners a means to fight back against the Nazis. At the same time he risks it all coming to an end if the Nazis decide to end his life. For Meissner, he develops a deep and lasting respect for Clement and finds himself walking a fine line between his duties as a Nazi officer and his personal feelings as a man toward another man. Overall I think this was an audacious premise to tackle and in some ways Donoghue pulls it off and in other ways I admit it is a stretch of belief. Yet there were enough strengths in this novel that they outweigh its deficits and I would recommend this book to others to read.